PILOT 2 is a translation device that includes a pair of smart earbuds, a charger for earbuds and handheld translation device. 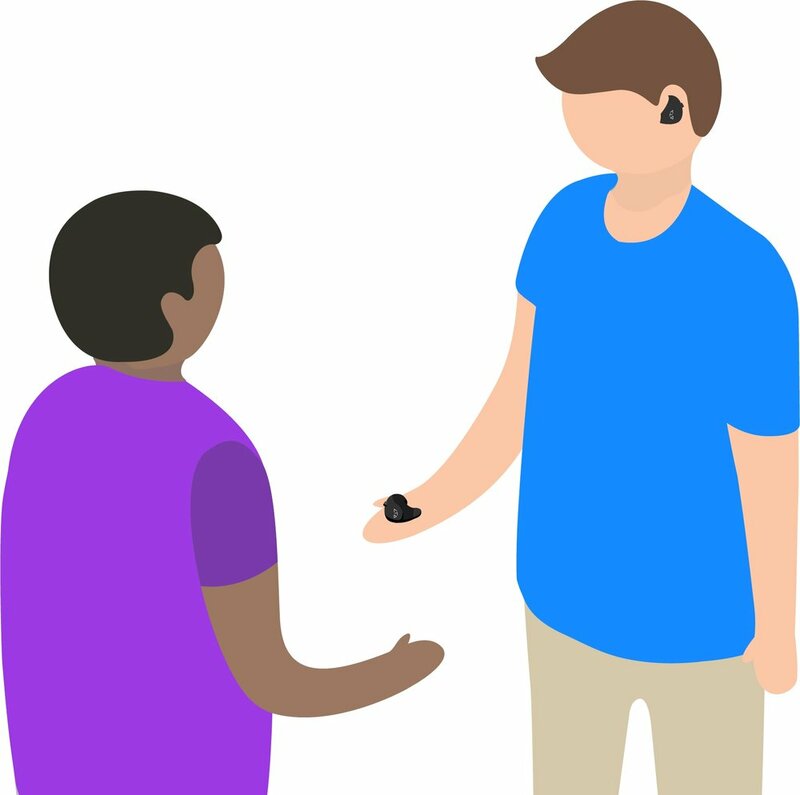 The aim of this project is to solve the hygiene issue when user share one of their earbud to translate the conversation and to achieve the usage of short conversation. This is PILOT, the first product from the start-up company Waverlylab. As the first product, PILOT has a very good sales on the platform kickstarter. However, at the same time, it also has some disadvantages from the user feedback such as hygiene issue when people share the earpiece to do the translation and it is inconvenient when people just want to have a short conversation. My job is designing the next generation which is PILOT 2 to solve the main disadvantages considered the target user, target market and different scenarios in order to give the better using experience. According to user feedback, the hygiene issue is the most complaints. 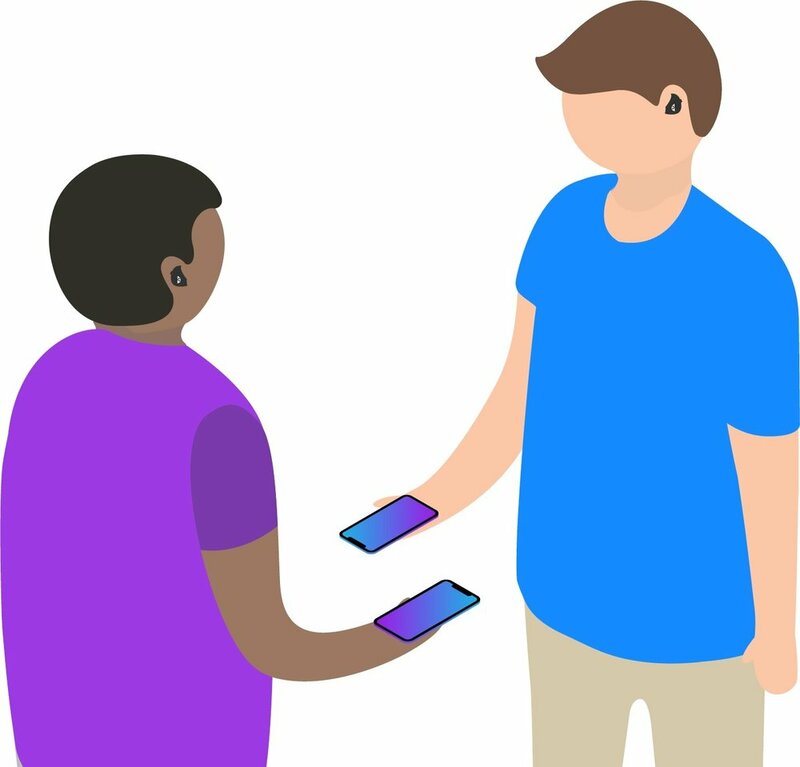 When the user wants to translate the conversation, they need to share one of their earpieces and give it to the partner. It means user need to take the earpiece out from their concha and then share it. A lot of people think it’s gross. Especially for the target user, business man, the occasion is official and need to be treated seriously. That makes this problem more essential. Every time when the user wants to start the conversation with the PILOT, they need to share the earpiece and connect to bluetooth separately. And they need to open the app and start the conversation. For the long conversation, this process is suitable, once the setting set up, people can have long time conversation. But what if the user just wants to ask a question to a local people, for example where is the subway? How can I get there? Then this using process will be inconvenient and troublesome. And this similar scenario definitely will happen when the user have the abroad business trip. The translation work actually is accomplished by the App. It means when user wants to translate, their smart phone has to connect to the internet. However, as we know, when people travel to another country, some times their smart phone doesn’t have the cellular data or has no signal. In this case, What if the translation device can store the foreign language of the destination in advance? The first ideation is for enhancing the quality of conversation. The “short leg” design let people know it’s not a pair of earpiece just for music, but also good for having conversation and phone call. The second ideation is inspired by the B&O Form 2. The on-ear design is for solving the hygiene problem. The form is designed for being special and stylish. The third ideation is to focus on solving the hygiene problem, trying to make some differences on the ear tips. Instead of just covering the top part of earpiece, the new designed ear tips will cover the whole earpiece, and designed different color for it. When people want to share their earpiece, they can simply change to a new ear tip. User can also identify which earpiece belongs to partner through the different color. The ear tips are washable. After the first round of ideation, the form of earbuds from the third ideation can be continued to design. And I still need to design a product to solve the existing problems and be more innovative. PILOT 2 is a translation device, combining with a handheld offline translation device, a pair of translation earbuds and its charging box. 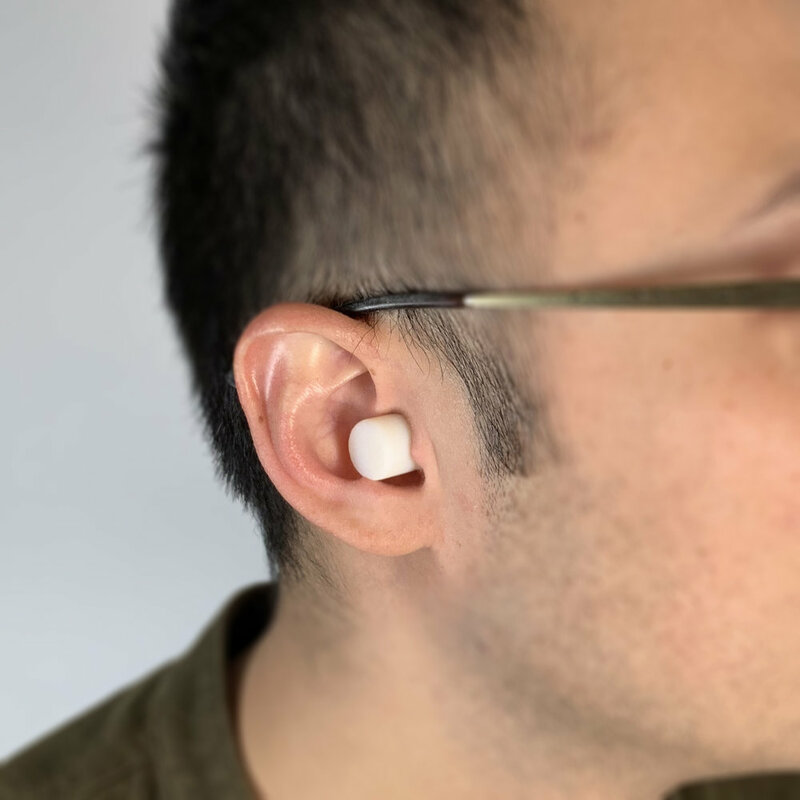 For solving the hygiene concern, either user can simply share the handheld translation device, or they can share one earbud with their partner. The handheld translation device can used for short conversation. When the user travel abroad and wants to ask for some information, they can just tap the button and ask. When the user want to have a long conversation, they can share the earbud if their partner doesn’t care about it. Or they can give the handheld translation device to them. 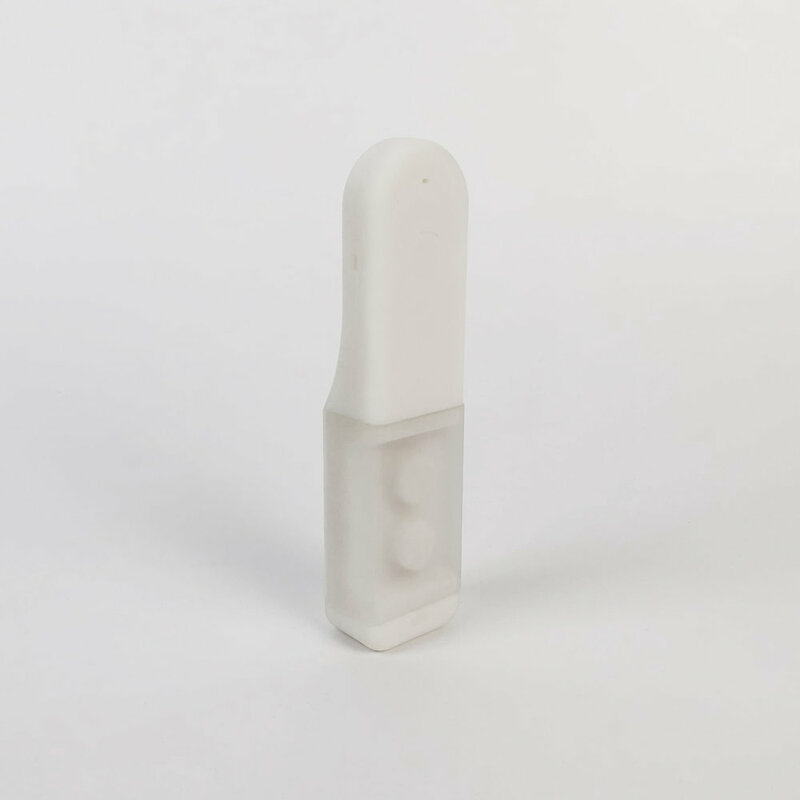 I chose ABS plastic as the main material for this product. Considering to meet the style of business men and women, I added aluminum at the bottom of earbuds. When they wear them, people will see aluminum directly. To match to the aluminum part of earbuds, I used same material for the bottom of hand held translation device.